Futuristic, intergalactic goddess-wear, designed by the seriously off-the-rails fantasist himself, Thierry Mugler dresses from his Angel fragrance ads are beautiful, revealing and for the most part, totally unwearable in the real world. On display at The Bay. There are two kinds of women in the world: girls who grew up dreaming of their wedding dress and the ones who imagined the day they&apos;d wear a velvet gown to an embassy ball. For those of us who wanted the ball gown, the dresses in Thierry Mugler&apos;s Angel ads were a revelation. 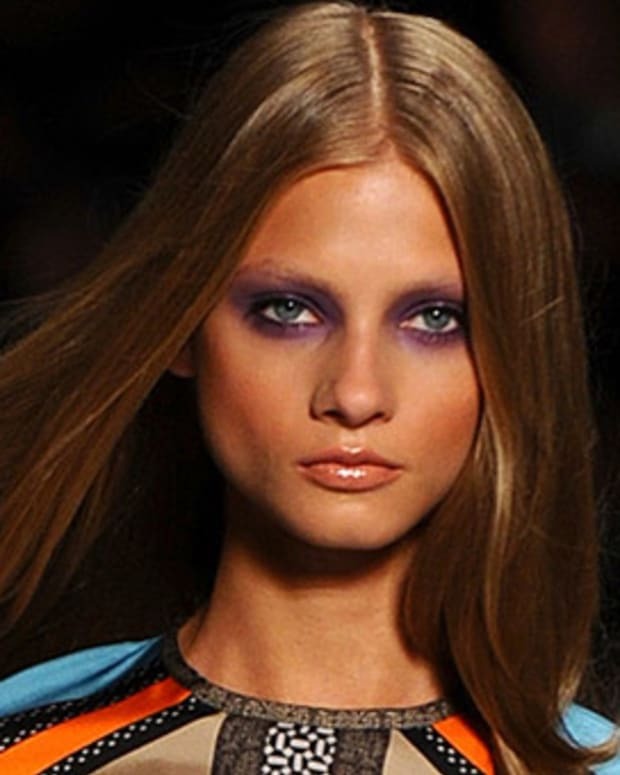 Futuristic, intergalactic goddess-wear, designed by the seriously off-the-rails fantasist himself (with the exception of a gown Eva Mendes once wore), they are beautiful, revealing and for the most part, totally unwearable in the real world. 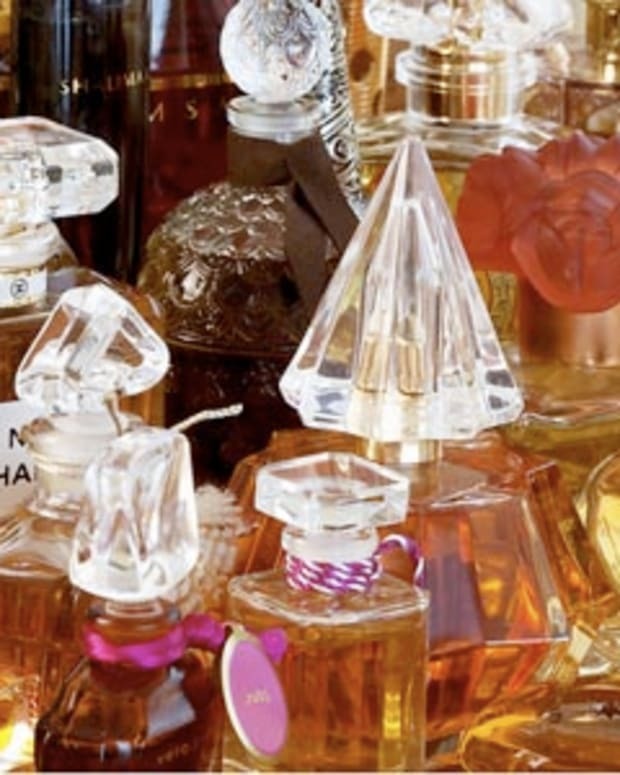 The story of Angel is legend: The first gourmand scent (blending caramel and cotton candy notes in a perfume almost caused rioting in the streets), it was risky and polarizing -- some stores refused to carry it. After shocking the beauty industry down to its perfectly groomed toes, Angel became a best-seller, a status that continues to this day. 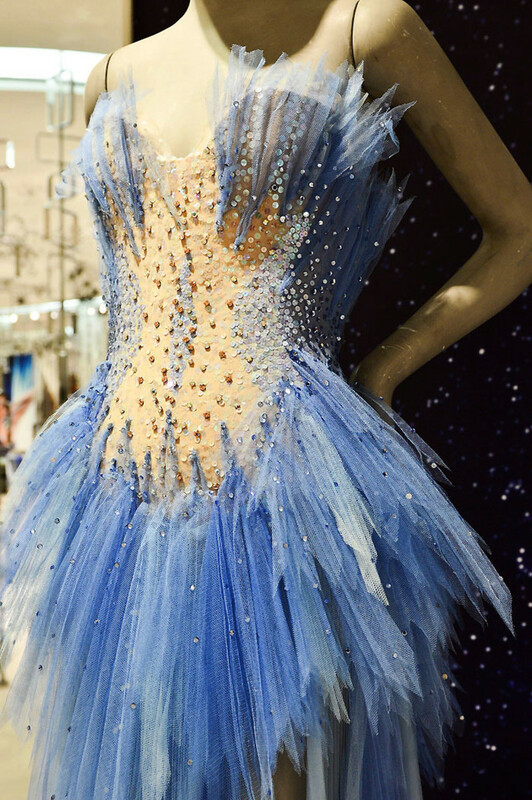 In honour of 20 years of success, gowns from five iconic Angel ads are touring The Bay stores briefly this month. 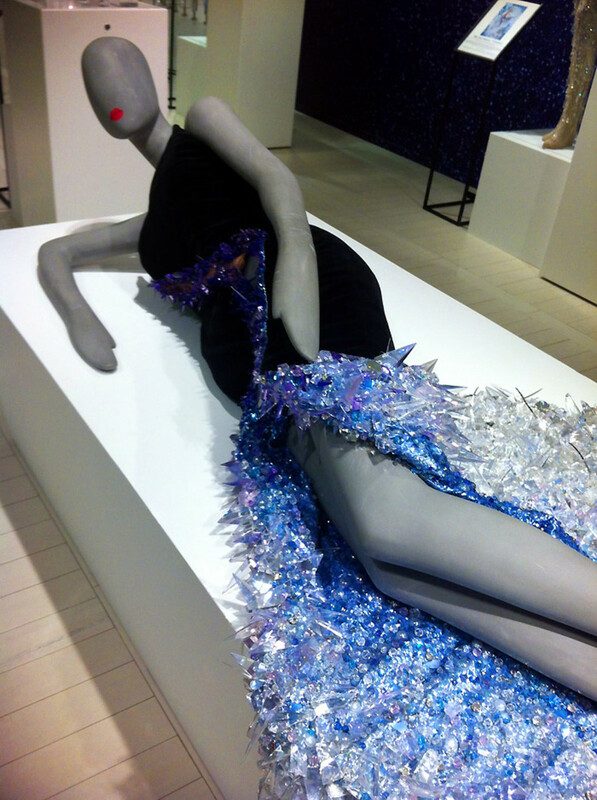 The exhibit includes sequin- and crystal-covered dresses worn by Jerry Hall in 1995 (her hair is amazing in that ad) and Amy Wesson in 1998, the gauze-and-crystal confection Eva Mendes wore as she sang -- yes, sang -- in a 2010 ad, and Naomi Watts&apos;s 2008 ice-blue tulle (only Thierry Mugler could make that bridesmaids cliché, pale blue tulle, look powerful and menacing). 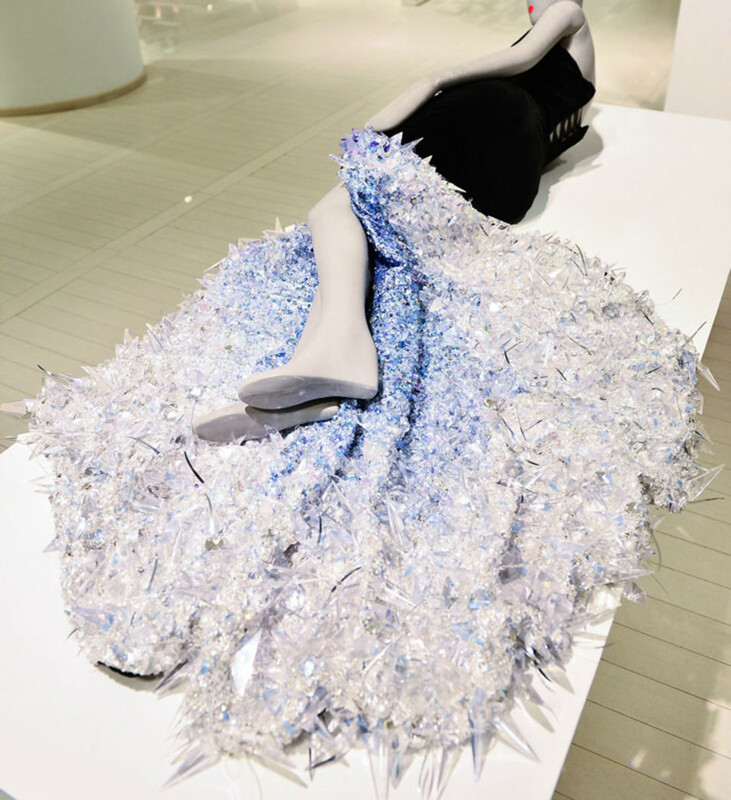 But the most show-stopping is a velvet, Swarovski crystal and sequin extravaganza, so heavy and spikily dangerous that model Anna Maria Cseh was photographed lying down because the dress itself weighs 110 pounds and cannot stand up. On display it looks like a river bed of flashing blue crystals -- something an evil queen would wear to seduce a hapless prince in a fairy tale. I am so in. If you can&apos;t wear the gowns, you can at least see them on display this Saturday and Sunday at The Bay Queen St in Toronto, and in Montreal at The Bay from November 20-25th (after that, they go back to Paris). 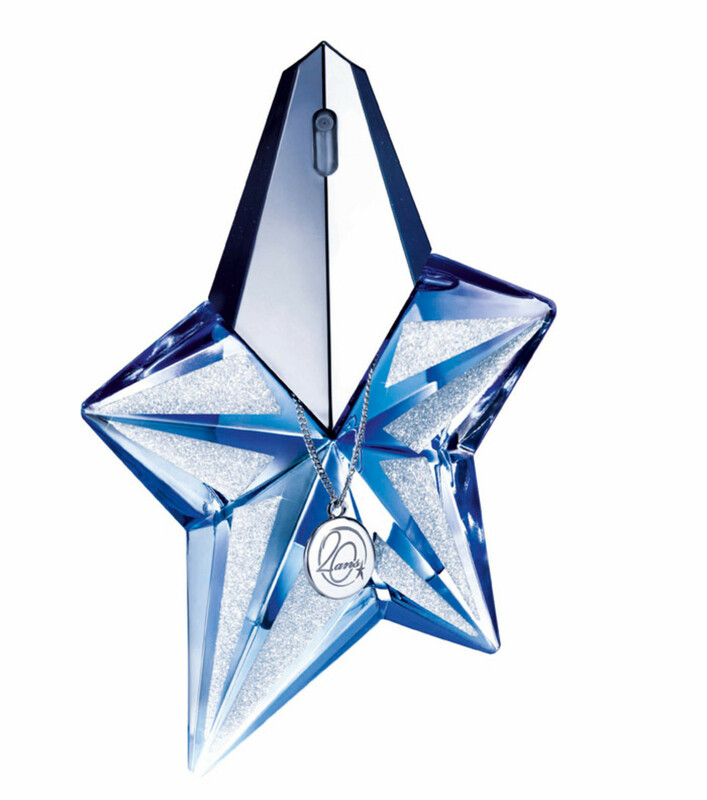 And the new limited-edition Angel Precious Star 25 ml eau de parfum ($96 at The Bay, Holt Renfrew, Murale, Shoppers Drug Mart) is a bit of Mugler fantasy easier to incorporate into your day than 110 pounds of sequins and crystals.